20 Reasons to list your home with The Silver Star Group of RE/MAX Top Realty. We offer these services and more. 1. MLS listings and internet listings on Trulia.com, Zillow.com, Realtor.com, Houseand Home. MSN.com, Yahoo Real Estate, Homes.com, Homeseekers.com, HAR.com, REMAX.com and many others. Exposure sells Homes! 8. Unlimited phone / office consultations. Call us or email us anytime you have a question or concern. 10. Online Open House – We will create an online open house to appear on the Web for viewing by anyone searching for a home like yours. You will be provided with feedback about the responses. 11. Interior Design consultation for 2 hours free of charge. Sweet Interiors by Candy will provide onsite consultation and a written plan for staging and preparing your home for showing. 13. Atlas Moving Van / Storage Locker – Your agent can arrange for you to use up to 10 hours worth of packing, movers and moving van services for the day of moving . Storage services are also available with the use of a 10’x10’ storage locker . Store your extra clutter or your pre-packed moving boxes in readiness for your move and to prepare your home for showing. 14. 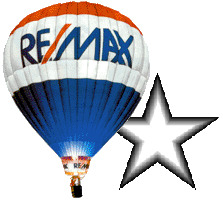 Rebate - If you use your RE/MAX Silver Star Group agent to purchase your new home in conjunction with the sale of your current home you will receive a rebate from your agent based on the sales price of your new home. 16. Assistance finding services such as home repairs, movers, inspections, insurance, mortgages and more. 17. Review the final closing documents for accuracy and attend the closing with you as your agent. 18. Seller's home warranty available for the duration of the listing at $60. The warranty will cover most items that may be detected in the inspection process. 19. The best reason to list with us is because we truly believe in our motto: Honesty, Integrity, Professionalism, Quality Service. 20. We offer the personal attention you expect from a professional, family owned business. At The Silver Star Group of RE/MAX Top Realty, you and your home get our full attention and you're never just one of hundreds of clients like at some other agencies. We know what REALLY sells homes, and that's what we do!